The story of how a small group of libertarian entrepreneurs began in the 1990s to hijack the original decentralized vision of the Internet, in the process creating three monopoly firms––Facebook, Amazon and Google––that now determine the future of the music, film, television, publishing and news industries. ...a bracing, unromantic account of how the internet was captured ... The three great monopolies of the digital world have followed the Thiel playbook and Taplin does a good job of explaining how each of them works and how, strangely, their vast profits are never 'competed away.' 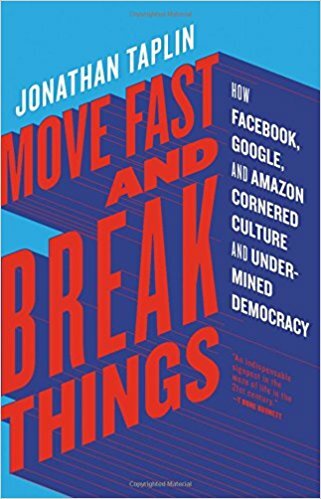 He also punctures the public image so assiduously fostered by Google and Facebook – that they are basically cool tech companies run by good chaps who are hellbent on making the world a better place – whereas, in fact, they are increasingly hard to distinguish from the older brutes of the capitalist jungle ... Move Fast and Break Things is a timely and useful book because it provides an antidote to the self-serving narrative energetically cultivated by the digital monopolies. ...[an] excellent book ... Taplin makes a forceful and persuasive case that companies like Google and Facebook could employ their powerful artificial intelligence programs to prevent the infringement of existing copyright laws ... 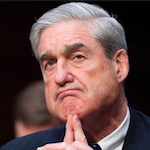 This is not a prophecy but a warning — without changes to legislation, corporate behavior and consumer values, the oligarchic dreams of a few billionaires could reshape the country even more than they already have. Mr. Taplin proposes some thought-provoking solutions to the challenge of getting people to pay for content...Whatever one thinks of these ideas, Mr. Taplin’s broader explanation of the upheaval in the music and media industries is illuminating. But he is so incensed by Facebook, Google and Amazon that he never considers the benefits that platforms deliver ... Mr. Taplin wages a prolonged attack on the 'libertarian' ethos that he says underpins technology firms. But 'libertarian' is the wrong label. These companies are often closely tied to government and are far from bastions of free-market purity ... Blaming the woes of content providers on a vast right-wing conspiracy will appeal to certain readers, but Mr. Taplin would have been on firmer ground had he left politics aside. What did you think of Move Fast and Break Things?